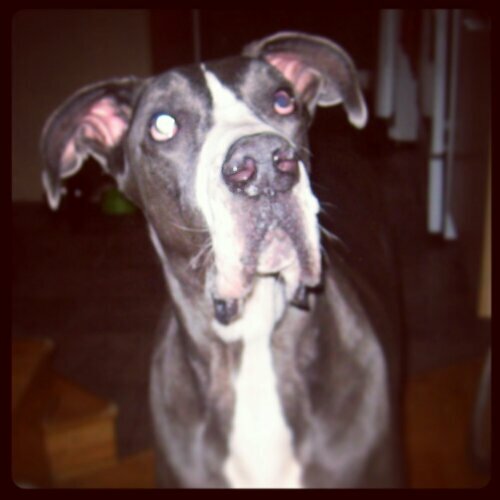 I’ve been named Mr. Big because I’m a HUGE Great Dane. Let’s say I’m the size of a small pony at 185 lbs. Of course I’m done growing as unfortunately I’m already considered a senior, at the age of 6-7. I’m looking for a new home at this stage of my life because having a dog like me is not cheap and my previous owner basically dumped me at his mom’s, who really couldn’t afford to keep me. I’m very healthy and still quite active, but obviously due to my size and age, not obnoxious. I’m rather mellow at home, but I have a very protective side to me. So ideally I’m looking for someone with experience in handling a huge protective dog. Of course, I am looking for someone who will work on that protection issue and not let me become overprotective of him/her. Because I’m so big, and can be nervous around new people, I really am looking for a very mellow household, with no kids. I’m great with cats and get along with dogs but due to my size, I don’t really care for tiny dogs. I am however extremely loving and would love nothing more than to take over your couch, or better yet, have one all to myself. I don’t have too many years in front of me, especially at my size, but if I could find someone to give me that great life for my old age, it would be a dream come true. I’ve been in foster care several months, but due to a situation now have to move and I really think it’s time for me to find my own home. Don’t you agree and won’t you share your home with me? I’m simply wonderful. Here I was sitting in my cell facing death row when I overheard ¨rescue groups will be driving Miss Daisy to Montreal, Canada¨. My huge ears perked up and I ¨thought that`s me, I`m Miss Daisy¨. Someone from what we call ¨cold country¨ was saving my life. You see, I`m from down south Georgia, and I spent my life hunting. 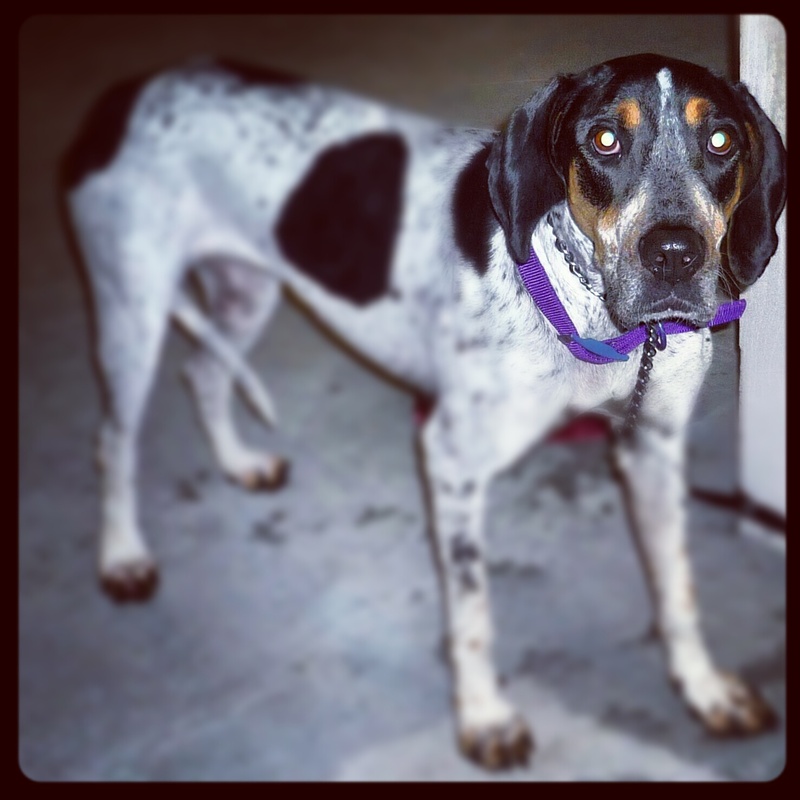 Problem is I`m a Bluetick Coonhound, but instead of chasing raccoons I had more fun chasing the chickens from the neighborhood farm. This farmer neighbor raised chickens who would eventually get plucked, cooked and eaten by humans. The south is known for it`s fried chicken, my way is much faster and more fun. Farmer wasn`t impressed and I was sent to the pound. Down in Georgia prison inmates come and care for us at the pound, each one of us is assigned to someone who becomes our friend. Likewise we pass through their lives and become a friend until we get adopted. Unfortunately because of my taste for chicken I was not going to find a home and was facing imminent death. Sophie heard my story and decided I deserved a new life with no chickens to tempt me. Also I hear dogs up here wear boots and jackets in winter, I can`t wait to try that on! 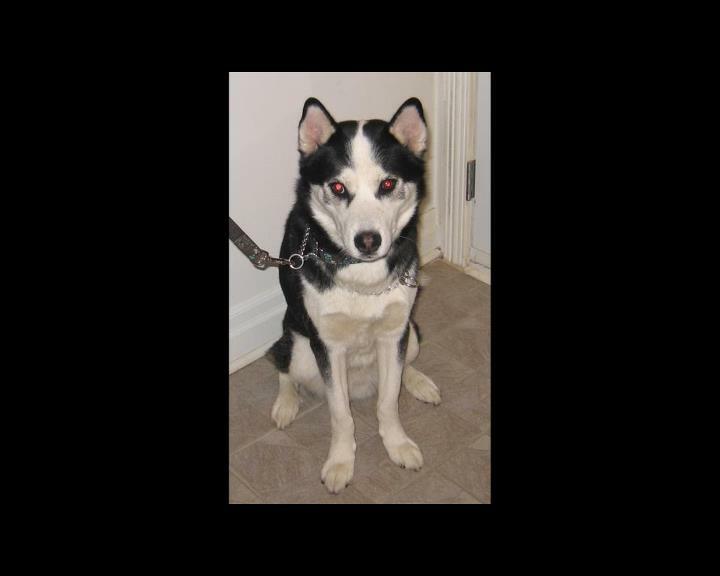 I am Doobie, and I am a 5 year old Husky who has quite the story to tell. 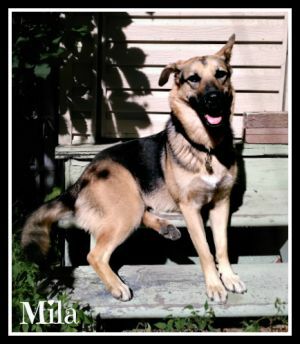 I was originally adopted as a young pup from the SPCA, and for the last 5 years went from home to home via the internet. Here we are now, and after being “rescued” by a so-called rescue group as a purebred Siberian Husky, it turns out I am an SPCA dog, microchipped and never neutered. I was once again going up on the net as my last home didn’t want me anymore, so Sophie’s Dog Adoption took me in and finally had me neutered to end this craziness. I am very friendly with other dogs, lived with a cat at least for a while, as well as with a 2 year old child. 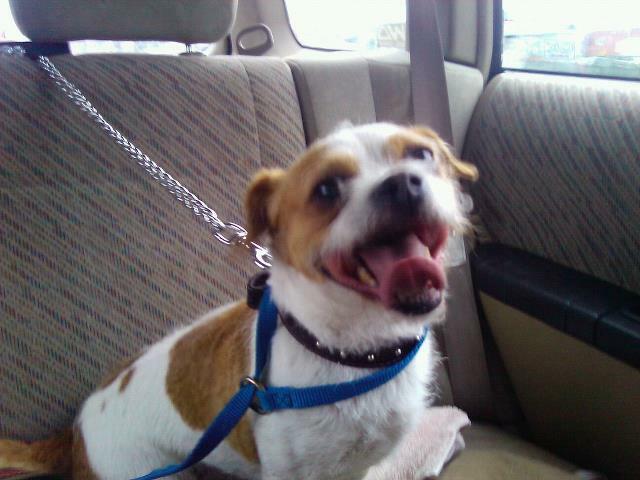 I am sweet and affectionate, good to stay alone during the day, not a barker and enjoy life. I am hoping to finally find a stable home where I can live the rest of my life and be spoiled, loved and most of all, wanted. If you think I’m the guy for you, put in a request! I will love you forever. 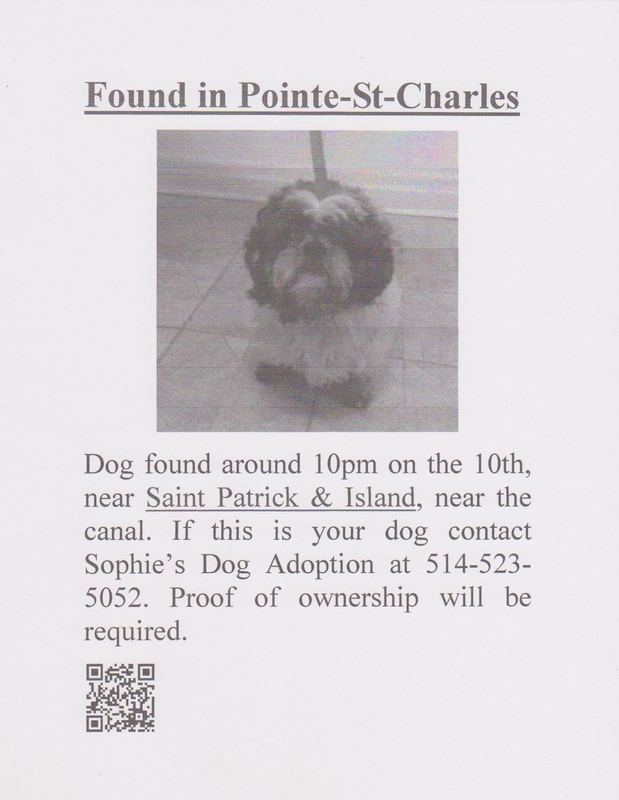 Dog found around 10pm on the 10th, near Saint Patrick & Island, near the canal. If you live in that area please print and share this already made flyer. 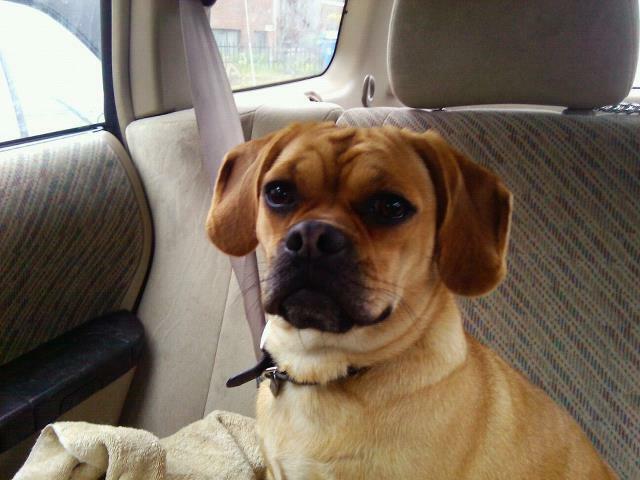 If this is your dog contact Sophie’s Dog Adoption at 514-523-5052. Proof of ownership will be required. Found on Monday the 30th near Boulevard Newman & Rue Thierry. Berger Blanc has refused to take down the information. If this is your dog contact Sophie’s Dog Adoption at 514-523-5052. Proof of ownership will be required. 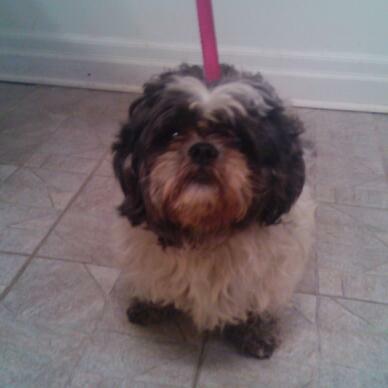 Found Saturday the 28th near Saint Patrick and Irwin.